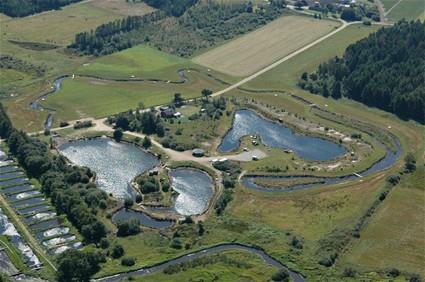 Tusaagaard Put & Take consists of four lakes and a stream. A total of 16,000 squaremeters of water. Fish: Rainbow trout, brown trout and brook trout and also tench, carp and eels. Facilities: Shelters with tables and benches, toilets accessible for handicapped, new clean room, barbecue, fireplace. House with capacity for 40 people. Kiosk (open as needed.